Yesterday, as part of Pete Chambers ongoing 2-Tone @ 30 celebrations, Coventry’s other 2 Tone band, The Swinging Cats, performed in Coventry for the first time in 29 years. Original members John Shipley and Paul Heskett played a selection of songs by the band that helped expand and define the 2-Tone sound. Heskett also read from a forthcoming memoir of his 2-Tone experiences playing with The Specials. But first a bit of history. On July 21, 1980, The Selecter announced they were leaving 2-Tone to sign directly with Chyrsalis Records. In a statement they released explaining the move they said, "Every 2-Tone single has reached the charts. 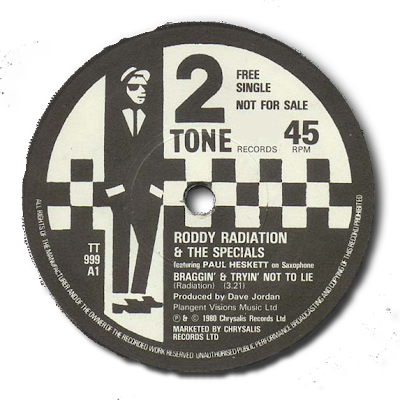 This is a situation which The Selecter feels is ultimately stiffling new talent, leading bands to feel that they need to stereotype themselves into what they believe to be the 2-Tone sound..." In turn 2-Tone Records released a statement saying that the label would continue "with the main objective of helping new bands". And true to their word a week after The Selecter left, the label signed The Swinging Cats, who ironically would pick up a few support slots with the post-2 Tone Selecter on their 1980 tour (replacing Holly & The Italians). During this time, Jerry Dammers had decided to largely turn his back on the ska explosion he had created to investigate darker themes. This decision matched his growing interest in what would become known as easy listening and lounge music. Given their penchant for mod, jazz and calypso, The Swinging Cats were tailor made for the direction Dammers was taking The Specials on the 'More Specials' LP which was in the process of being recorded that summer. 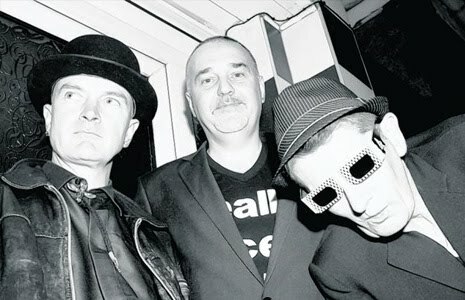 This new direction was further evidenced in later label signings including Leicester soul collective The Apollinaires, Norwich punk-funks The Higsons and Scarborough soul-jazzers The Friday Club. The Swinging Cats lead by guitarist Shipley, Saxophonist Heskett and keyboardist Toby Lyons were short lived, so my introduction to them was through the 'This Are Two-Tone' compilation record that was released in 1983. I remember being surprised that the band even existed, as they had not toured in the U.S. and very little news about them had crossed the pond. I was struck by their off kilter instrumental 'Mantovani' and later heard 'Away' featuring singer Jayne Bayley and was impressed with their versatility and chops. Later I learned that the band was from Coventry and members of the band played integral parts in the later days of the label. 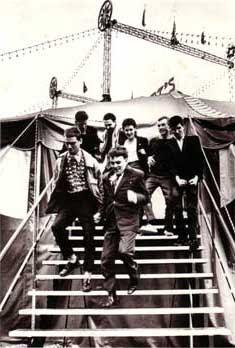 The Swinging Cats were formed by John Shipley, who along with Toby Lyons recruited like-minded individuals, and so created one of 2-Tone’s most flamboyant acts, even topping Madness and Bad Manners for on-stage quirkiness. The band won a Battle of the Band's contest in Coventry that gave them two days at Leamington’s Woodbine Studios and a spot on TV show Look Hear. They signed to 2 Tone records and released the irresistibly catchy Mantovani, with Away as its flipside. After the band ended, Shipley joined the Special AKA, Lyons joined The Colourfield, and Bayley became Jane Bom-Bane 'Queen of the Funky Harmonium'. Heskett later toured with The Specials and played saxophone on 'Sock It To 'Em J.B' and 'Braggin' And Tryin' Not To Lie' on the More Specials album and also played the flute on the 'Ghost Town / Why? / Friday Night, Saturday Morning' EP. Below is very rare footage of the Swinging Cats performing live at the Pebble Mill BBC Studios in Birmingham performing 'Away' and a cover of 'Never On Sunday' by Connie Francis. You have forgotten the other vocalist, Val, who was engaged to Jerry Dammers. She is the one singing on two of the video clips from Pebble Mill, Away and Never on a Sunday.